What elements does your dream wedding gown have? Is it beaded? Is it lace? Does it have a tie-waist? When it comes to wedding dresses, the options seem endless. Narrowing it down to the perfect dress takes a keen eye and vast experience. Gabi Rosenwerth has been a renowned designer in the South African fashion industry for decades. Her brand, Rosenwerth, has been an eminent house of couture and prêt-a-porter for half a century. The brand radiates style, elegance, and quality. Gabi herself has steered the Rosenwerth brand towards the natural beauty and power of women. The elements she incorporates into her garments are transformative, a pillar of femininity and a feat of determination. Her gowns speak for both Gabi herself as well as the stunning women who wear them. One such dress is a gorgeous wedding gown that embodies feminine sophistication. This cool-toned gown accentuates a woman’s curves with a wrapped waist, and gives way to a sheer top with sturdy lace embroidery. It’s fun, flirty, and isn’t afraid to announce the feminine beauty of its wearer. It resembles the sultry freedom of Gabi’s Matric dance dresses but retains the elegance and sophistication that stands up to any dress. It’s a gown for the new-age woman, the woman who isn’t afraid to make her own rules. To have a look at the stunning dresses featured in the images here, click here and here and get inspired for your magical day. 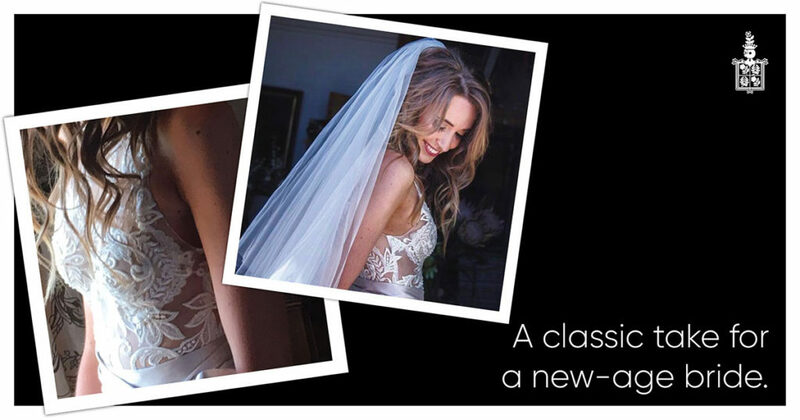 Book an appointment with Gabi now to discuss your dream dress.